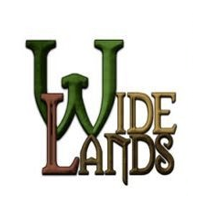 Widelands is a strategy game that has you playing a clan�s regent and attempt to expand your territory. To do this you need to manage your resources, trade with other clans and if the situation calls for it, be prepared to do battle to stake your claim to a particular land. This open source game is developed by the Widelands Development Team. In the beginning you start at your small headquarters with an aim to manage whatever limited resources you have there. As you play the game your settlement grows and you will gain access to more materials, but this also means you must become more skilled in handing them. In Widelands, all of your clan members will do their part in producing food, gold, iron, wood and other materials necessary for your community to grow. As you expand and conquer more territories you will come across the other inhabitants like the Atlanteans, Barbarians and Imperials among other clans. Some are friendly and will be open for business and trading, while others will be more hostile. It�s up to you if you want to live peacefully and prosper via commerce or rule the world. If you want to be a world conquering hero (or tyrant) you have to train an army, which is possible here. While the game has a lot in common with other strategy games, it also has its own unique features. For instance, emphasis is set on roads, as they play a major role in shaping the economy and all goods that are transported have to be processed and refined. In short, this is a detailed and absorbing game.